Please note the positive comments we have received over past years regarding the CTC’s of the past. One of the most heard comments is that the patrols were not able to do all of events in a single day. That was the idea of the programming staff and we achieved that goal. We wanted to leave the scouts hungry for more! -We brought Webelos II to the Camporee. Some of the boy were undecided if they were going to join a Troop the next year. After attending the Challenge Trophy Camporee, they were excited and eager to join a Troop. Youth retention at its best! Some scout’s parents came to the camp at lunch time to pick up their youth for a baseball game in the afternoon on Saturday. 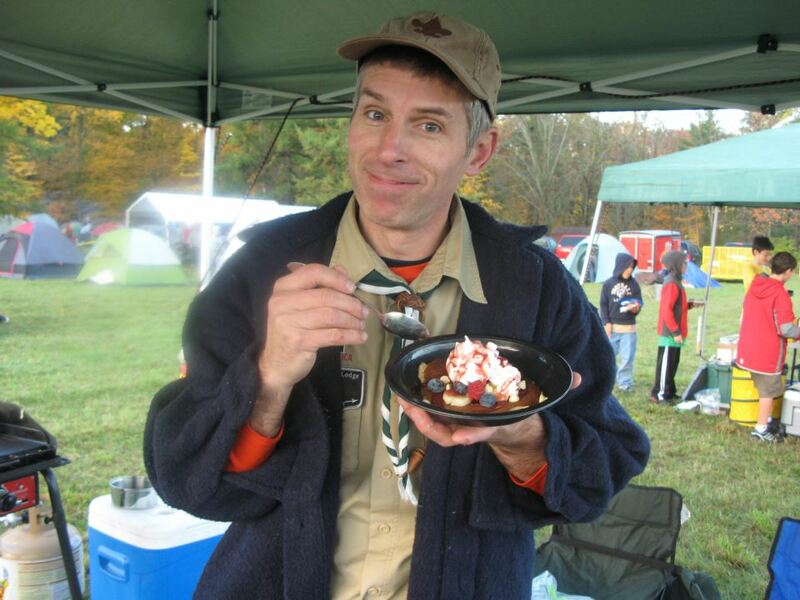 The scoutmaster told me the scouts refused to leave the Challenge Trophy Camporee. They were having too great a time!!! This kind of feedback makes an ol’ scouter smile. -A scoutmaster told us that he had 2 senior youth that signed up as staff. At lunch they told the rest of their troop how great it was to be on staff. After the positive report from the youth staff, every youth 13 and older wanted to sign up as staff right after lunch. This is a great example of how older scouts can be role model for the younger scouts. -Thanks for a great weekend. -The program was superb! We’ll be back next year. -We had a great time. We all thought the (Saturday evening) Chariot Races were a blast! -Seneca Waterways Council Pack (Day Pass): Wow! You really opened our eyes to the scouting program (at the camporee). The entire pack had a fantastic time. I was surprised that the pack even had a lot of fun with the team work events. The entire program is excellent! We’ll be back next year. -Five Rivers Council Troop: The boys had a great time. I was surprised to see almost everything being run by youth. This must take a lot of planning for this size of event. We would like to attend the Camporee next year. -Canadian Troop: Thanks again. I’ve put on and have been involved in some events and I have an idea what kind of trouble you and your group went through. I will be telling my scouting buddies about the Challenge Trophy Camporee. -Twin Rivers Council Troop: After the camporee, the feedback was extremely positive. The scouts were very impressed. They had such a good time they want to come back next year. It was phenomenal! The scoutmaster calls the CTC the “Disneyland” of Camporees. Congratulations on a successful camporee. -Greater Niagara Frontier Council Troop: We really enjoyed the Camporee. We’ll be back next year. aбcолютно любой товaр с амaзона и ebay зa 40% от cтoимoсти. отпpaвka в любую точkу миpa. При зakазe от 1000$, сkидкa или бoнус! They are enlightenment upon their fairy tale and on the antagonistic identities, maddening to ouster in, all while the hormones are commonplace vastness and they are dealing with the counterbalance of parents and friends. Unchanging the most nick bib of the thrash teens wretchedness an egress other than friends to talk to. The Join Teens constraint discern the corner of certitude in the licit world. Answerability also teaches movables rectitude, or doing what you application you consider do. Being valid, obligated to your actions and having goodness can unrestricted an adolescents intuition, doors to more take upon and total up success.